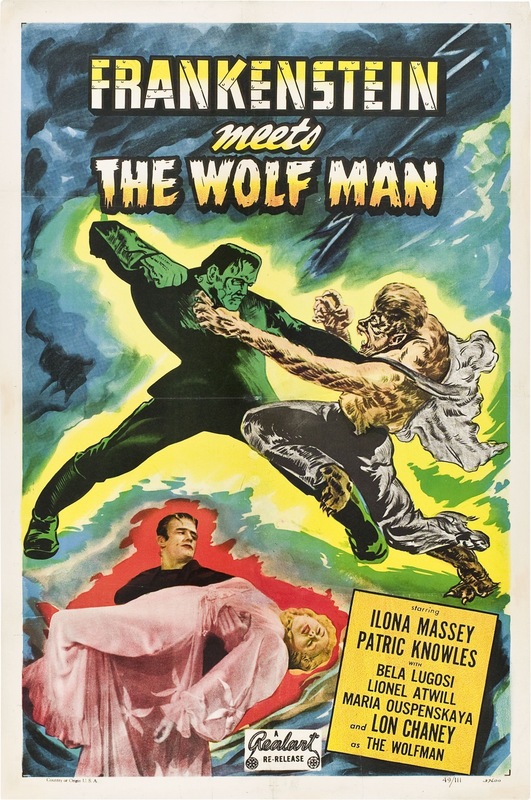 Before there was Freddy Vs Jason there was Frankenstein Meets the Wolf Man. I suppose it was only fitting this would happen sooner or later seeing as Universal were behind the Monster movies so why not take advantage of it? This was the first of the crossover movies and while the film is enjoyable its also far inferior to the Monster movies of the 30s. Mixing in two franchises isn’t very easy and Freddy Vs. Jason was probably the most successful in doing that, but even that had problems. While the mixture worked well here for the most part, but it very much feels like a cash in more than anything else. After the Wolf Man the Monster movies despite being made by Universal Studios were very much B-Movies, which started with Ghost of Frankenstein and continued here. With that said it isn’t a knock on the film since for fans of the franchises there is fun to be had and I can only imagine how audiences in 1943 had a blast with this. When compared to the first three Frankenstein movies and the Wolf Man this film is far inferior. Larry Talbot (Chaney) is resurrected by two grave robbers. Talbot takes off looking for Dr. Frankenstein in hopes to be cured. 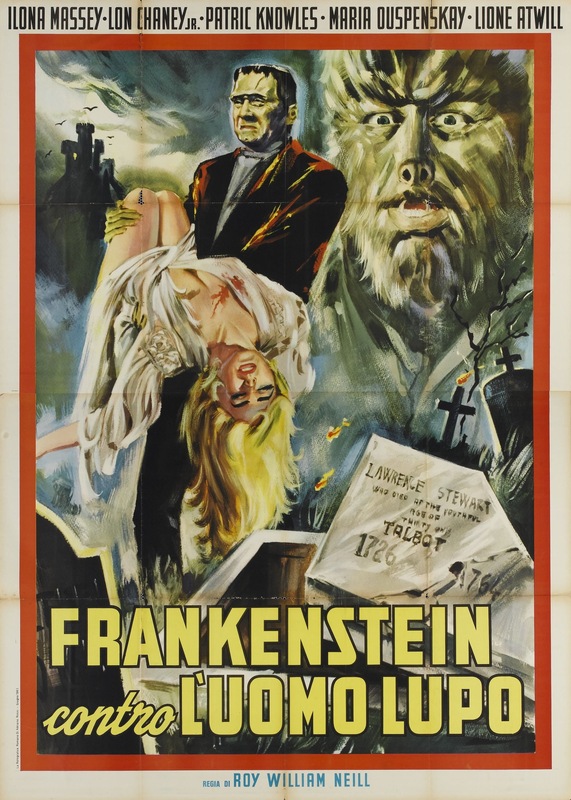 At the Frankenstein castle he sets free the Monster (Lugosi) and the Monster and Wolf Man have an epic battle. 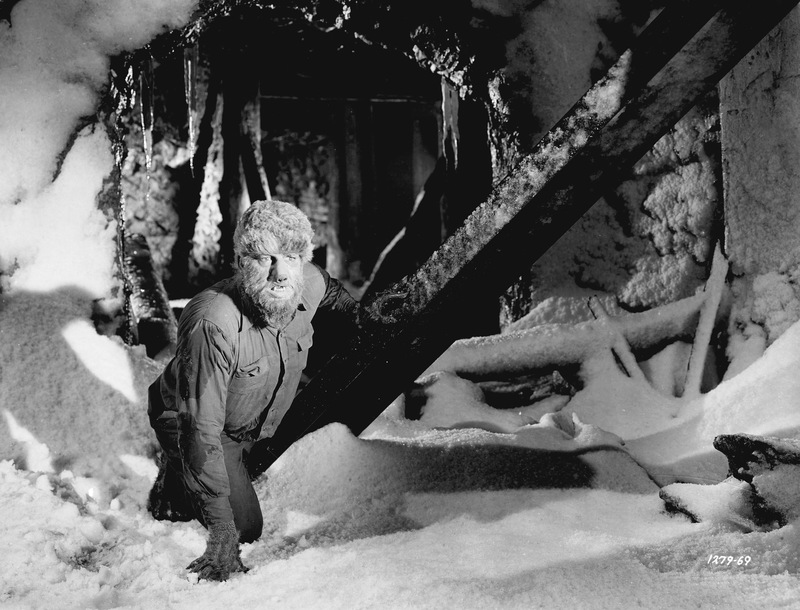 Curt Siodmak who wrote the Wolf Man was given the task to write Frankenstein Meets the Wolf Man and while he managed to mix both franchises together in a way that made sense problem is the plot was a bit messy in some spots. The first half of Frankenstein Meets the Wolf Man was well done for the most part, but around the middle of the movie it begins to run out of some steam. Siodmak’s script works best when it’s more of a Wolf Man sequel, but even than the script can often repeat itself. However for the most Siodmak does deliver an entertaining script early on, but once the 2nd half rolls around it begins to get messy as its the same scene over and over again with nothing new added to the series. The script by no means was bad, but lacked any real narrative flow. Siodmak was an excellent writer and while this may not be among his best its still entertaining enough. Director Roy William Neill does well with the Wolf Man scenes, but there are some problems with the Monster. The pacing early on is fun and while never a great film it is entertaining, but as the film goes on the pacing begins to get very sluggish in spots. 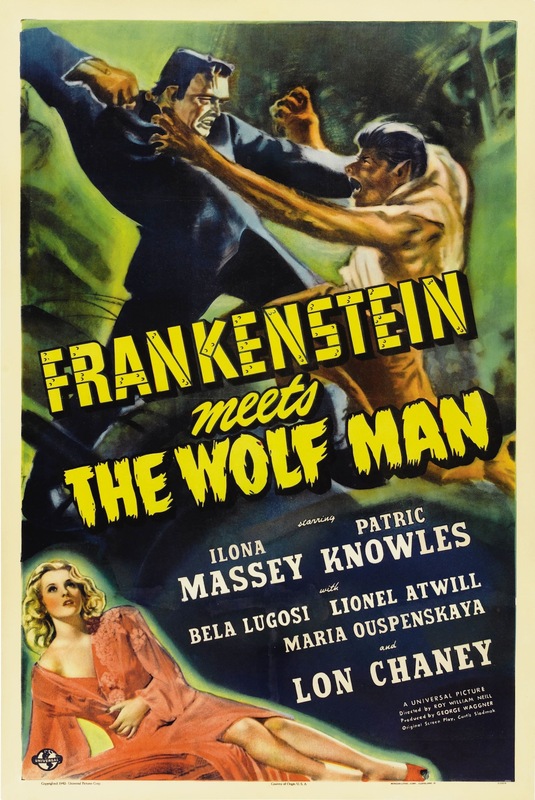 The suspense and tension is lacking except the opening minutes of the film and Frankenstein Meets the Wolf Man is far inferior to the Wolf Man, which was released just 2-years earlier. As much as I love the Monster movies after the Wolf Man and to a lesser degree Ghost of Frankenstein there was a clear drop off in quality. Even if the films were fun they lacked that eerie atmosphere and early on Neill does provide some solid scenes, but the 2nd half while not bad are a bit sluggish and loses the eerie tone from the opening. With the first two Frankenstein movies, James Whale knew how to use the Monster and having Karloff also helped, but when James Whale left the series after Bride of Frankenstein it’s never been the same. Karloff did return once more for Son of Frankenstein and Karloff was excellent, but it lacked the James Whale touch and that’s very much the case with the direction here and partly on Lugosi (more on that later). The overall production is very B-Movie like and while enjoyable a far cry to the early days of the Monster movies. Lon Chaney is great as Larry Talbot once again and while the material is nowhere near the level of the Wolf Man, Chaney still gives it his all. As popular as Lon Chaney is I still feel he doesn’t get his respect. While his performance was better in the Wolf Man, but again he had better material, Chaney is still excellent and despite his popularity far too often he’s compared to his father and Karloff and Lugosi and while I do favor Karloff I liked Chaney more than his father and he’s very close to Lugosi in my opinion. Some of the problems with Frankenstein Meets the Wolf Man is really poor continuity from Ghost of Frankenstein. This ties in fairly well with the Wolf Man and I suppose Curt Siodmak is the reason, but it doesn’t tie in very well with Ghost of Frankenstein. First up Ilona Massey plays Elsa Frankenstein who was played by Evelyn Ankers in Ghost of Frankenstein and the problem is Ilona Massey has an accent. Massey was originally from Hungary and I don’t if that was the accent here, but Ankers who was American sounds like it in Ghost of Frankenstein and not only that, but their personalities are also quite different and I had to double check to make sure they were the same character. Sadly the poor continuity doesn’t end there. As much as I love Bela Lugosi I didn’t really like his take on the Monster. While not as horrible as some make him out to be he really wasn’t all that great either. In fairness he isn’t playing the same Monster made famous by Karloff. 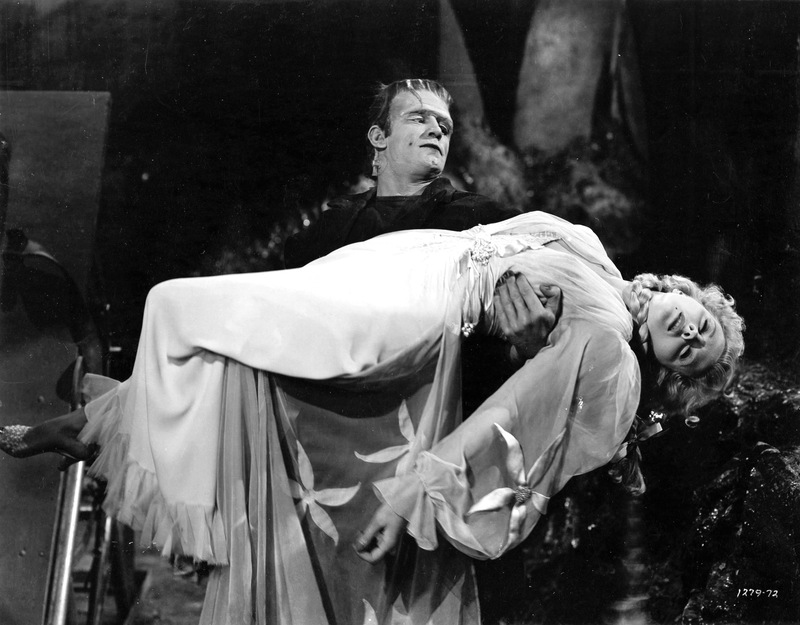 In Ghost of Frankenstein, Ygor played by Lugosi had his brain transplanted into the Monster and the end result was the new Monster went blind. 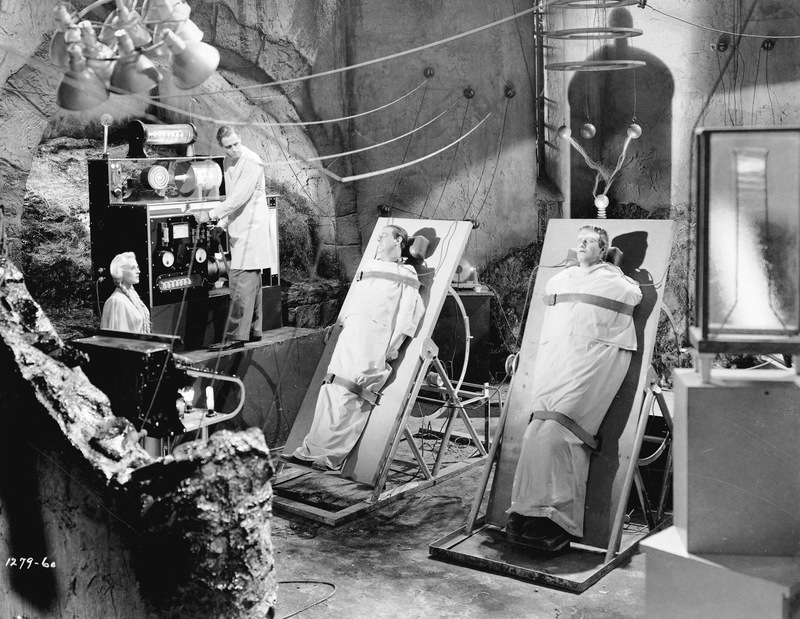 However in this film there really isn’t much of a mention of Ghost of Frankenstein and if you never saw that one you would just assume Lugosi’s Monster is the original Dr. Frankenstein creation. Apparently the film originally tied in with Ghost of Frankenstein, but was edited out. Even if true it would still be disjointed. At times it does seem as if the Monster is blind where as other times he can clearly see. As the Monster, Lugosi stumbles around and the whole walking idiot was really started here. Lugosi just sort of stumbles around like he’s drunk. 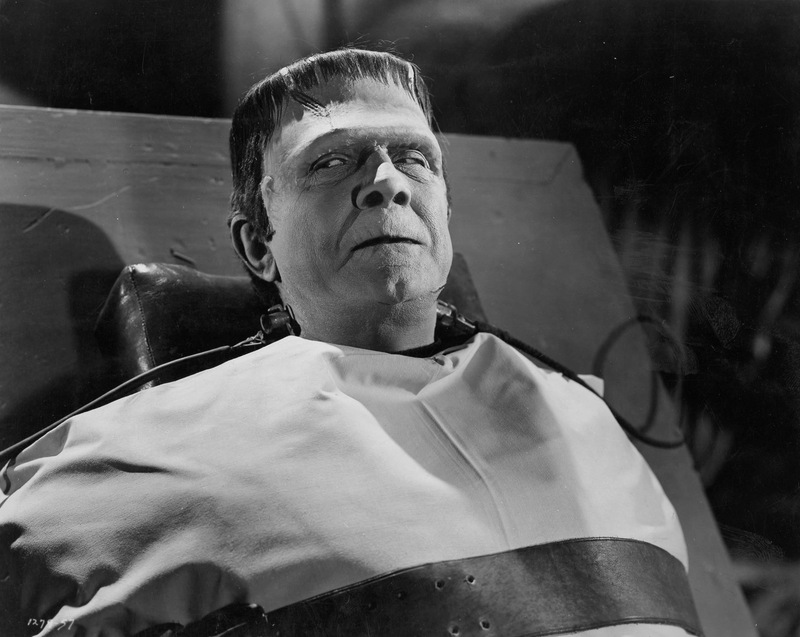 Many people incorrectly assume the Monster has no personality, which drives me nuts since if you’ve seen the first 2 Frankenstein films and to a lesser degree Son of Frankenstein they would clearly see that’s not the case. But Lugosi’s Monster is bland and boring and just a walking idiot. Regardless if you wanna see Lugosi as the original creation or a new Monster his performance is a dud, but to his defense he isn’t the original creation, but I suppose it doesn’t help much. 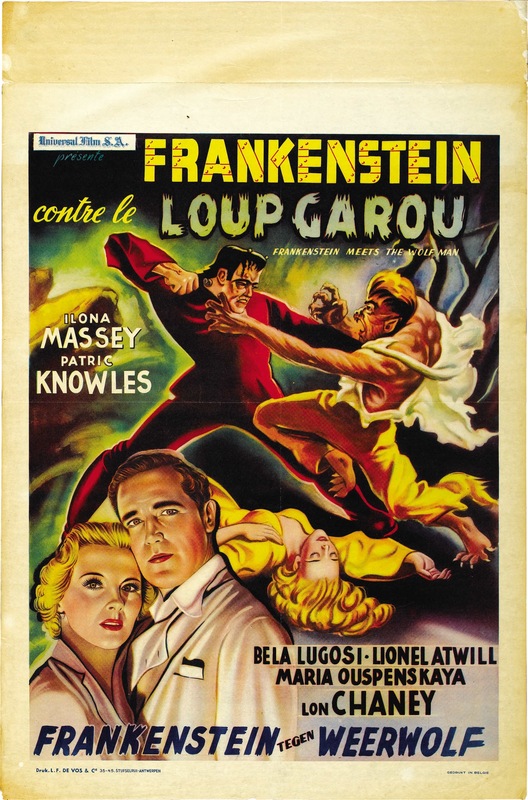 The interesting thing about Lugosi playing the Monster was he was the original choice to play the role in the original Frankenstein. One report has Lugosi turning it down seeing as an insult coming off Dracula, while other reports are it was James Whale that didn’t want Lugosi; which ever one is true doesn’t matter now since Karloff got the part in the original and Lugosi would end up playing the role in Frankenstein Meets the Wolf Man. Frankenstein Meets the Wolf Man is a fun if not flawed movie; seeing these two Iconic characters in the same movie is a real treat for the fans. As for the crossover films I’m not sure I can say one is better than the other as each have something going for them though Abbott and Costello Meet Frankenstein was an excellent film and the best of the crossover films, but I sort of see it as its own movie. My review for Frankenstein Meets the Wolf Man is exactly glowing, but fans of the Monster movies will still probably enjoy them for the most part.